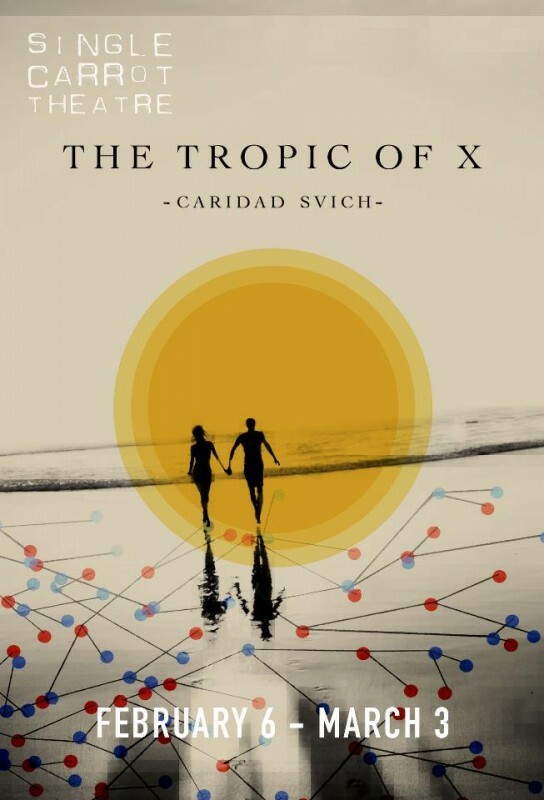 Our esteemed Set Designer Lisi Stoessel (Hotel Cassiopeia) invites you to take a sneak peek at her designs for The Tropic of X, SCT’s first show in out temporary home at 1727 N. Charles Street. Lisi has several challenges on her hands: a new space, a modest budget, and a big imagination. How can they all gel to make an awesome set? Here’s a look at her process. 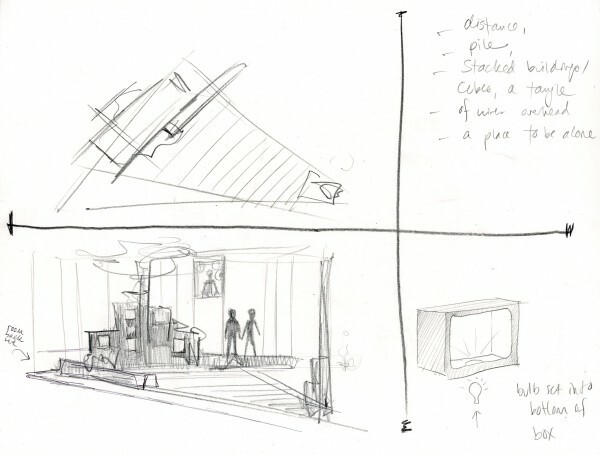 Lisi’s early sketches give us a feel for what she would like to see the set become. Sketches are an early part of the design process and they allow the designer to start to create a common language with the Production Team. 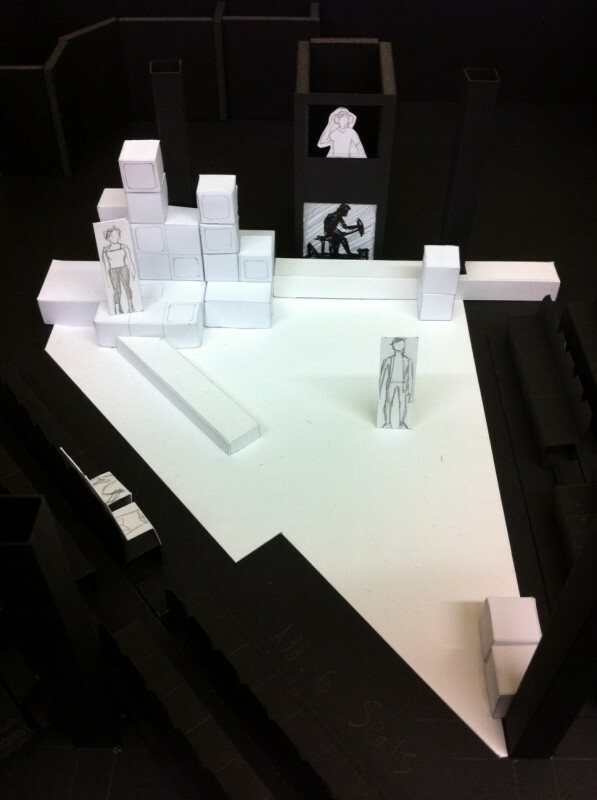 Stay tuned to the website for further updates on the show, and more peeks inside the world of design, dramaturgy and production. Lisi also brought in a model to show the production team. This gives everyone an idea of how the designer is taking those sketches, an implementing them within the confines of the 3-dimensional space. 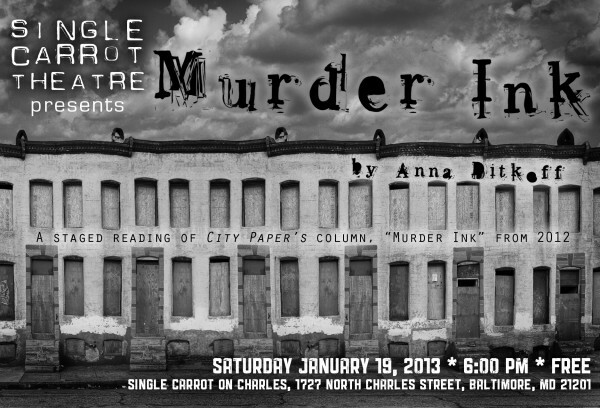 Each year at Single Carrot Theatre, we take an evening to remember those lost to homicide in Baltimore in 2012.